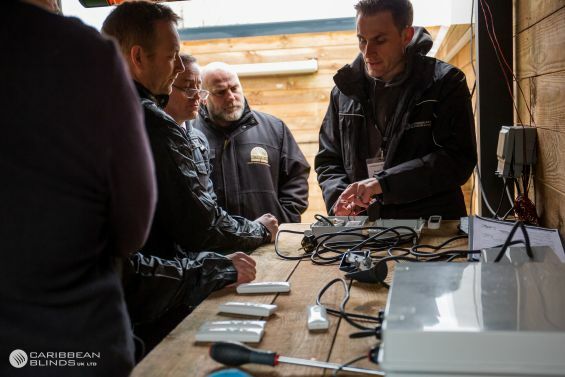 We're pleased to announce we are now taking bookings for our 2019 Winter/Spring Trade Installer Training Academy. Providing real hands on training, you will learn from the experts how to correctly measure, fix, adjust and commission our products plus the handover to the end client. With two courses, one for external blinds & awnings, the other for louvered roofs you will gain valuable knowledge and expertise enabling you to confidently and correctly carry out the survey and installation of our products. Taking place at our outdoor training centre at our Head Office & Factory in Sudbury, Suffolk the course costs just £50 + vat per delegate, with lunch and refreshments included. Starting at 10am and finishing around 4pm, this is an action packed, informative and worthwhile day, not to be missed. Places are limited and do book up fast, so act quick to avoid disappointment. Download the booking form below, select your desired course and date, provide details of the delegates and return to us to secure your place(s).